The SpiralVeyor® SV Series is a general purpose spiral conveyor that can be used in many industries and for a wide range of applications. Furthermore, many other options are available to customize / configure this spiral conveyor for specific applications and functions. 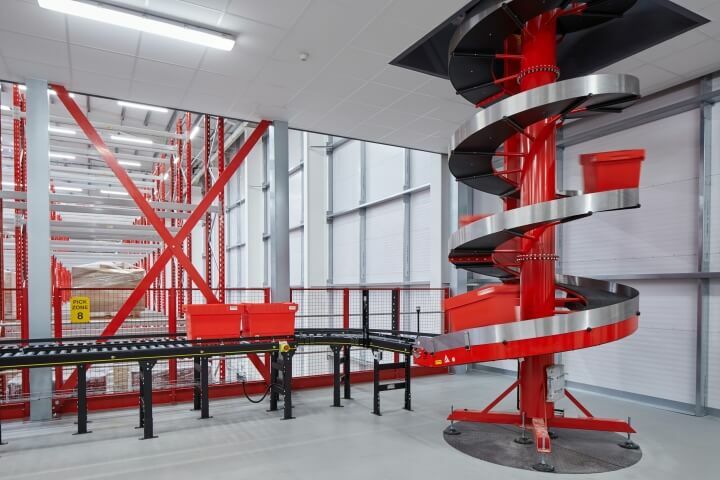 As standard the SV series spirals are fully reversible for feeding to/from various floors and can also be available in a dual lane version with separate drives which provides continuous flow in both directions. The onboard controls feature an inverter for altering the speed which can be used for on or off-line buffering and sensors for alerting operators of chain stretch. Virtually unlimited / commonly up to 12 m per drive system.